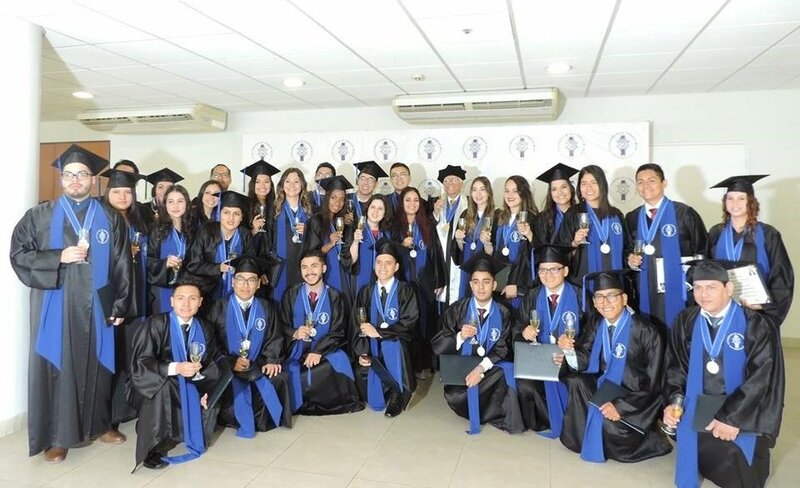 The auditorium of the Medical College of Peru hosted one of the most unforgettable moments in the life of every professional, on Tuesday, October 9, was held the Graduation Ceremony of Le Cordon Bleu University students. Five years of dedication and continuous effort ended in a memorable day, 56 graduates of the careers of Hotels and Tourism Business Administration, Gastronomy and Business Management; Nutrition, Health and Food Techniques and the Engineering in Food Industries career, promotions 2017-II and 2018-I, fulfilled one of their personal goals, receiving their Bachelor´s degree in recognition of the successful completion of their university studies. This touching ceremony was attended by the university authorities, the rector, Dr. Esteban Horna, the vice-rector, Dr. Augusto Dalmau, the dean of the Administration and Business Department, Lieve Coppin and Dr. Bettit Salvá, dean of the Food Science Department who chaired the ceremony.